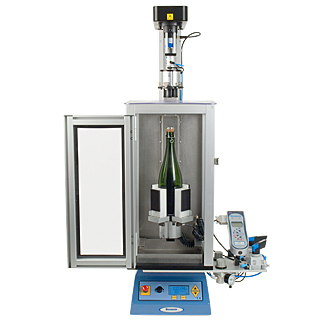 Bottle cradle and drip tray ensure bottles stay in the correct position and protect the system from spillage. 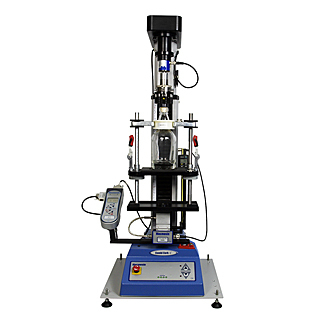 The CombiCork extraction tester can be used in conjunction with Mecmesin's data acquisition software, enabling further evaluation of results. 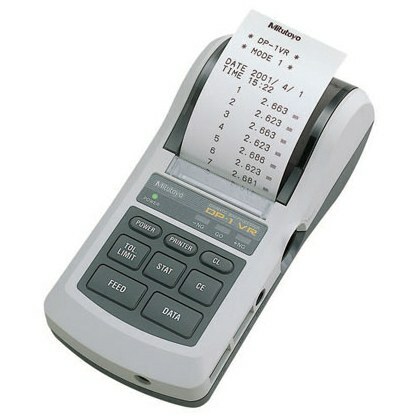 The keypad is designed to make testing as simple and quick as possible. Results are shown clearly on the display with additional functions including; audible and visual alarms, memory up to 500 readings and option to export results for further evaluation. 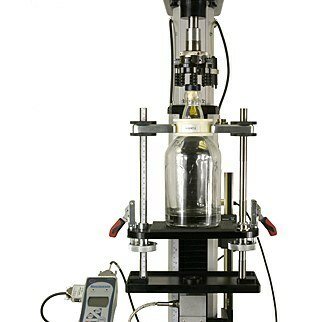 Cam-operated fixture jaws, used for cork extraction tests, are designed to hold the cork securely in place, without pinching it. 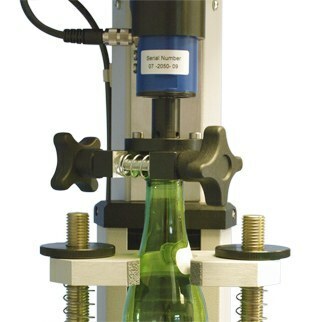 The bottle cradle uses a non-slip surface, ensuring bottles stay in the correct position. This system is designed to ensure protection from spillage, including a drip tray located beneath the test area, and is CE marked to European standards.